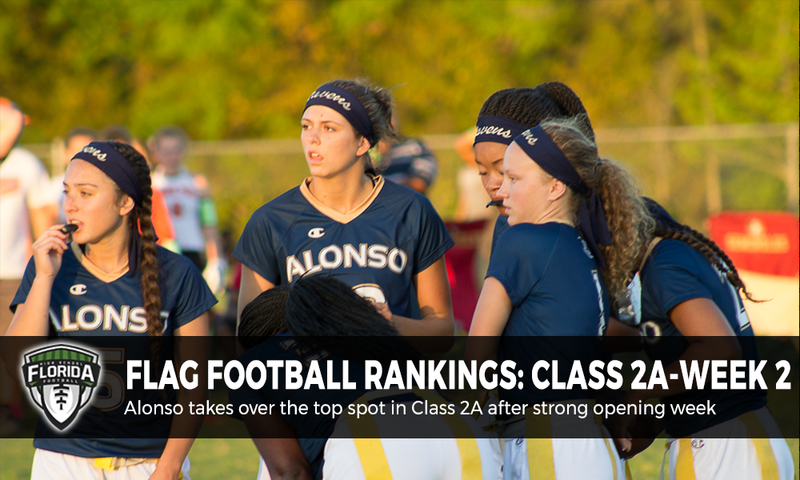 Each week during the season we update the Top 25 rankings in Class 2A providing our Top 10 teams as well as provide The Next 15 teams that we have ranked to complete the Top 25 rankings. Information used to determine the rankings include record, quality wins, defeating ranked opponents and strength of schedule. It is important that teams update their information with scores with us on a regular basis each week by emailing us score reports at flag@floridahsfootball.com, sending us a direct message on Twitter @FlaHSFootball or updating scores in the ScoreStream app. Lack of information (scores) reported by the teams will only hurt their chances of being ranked, especially if they are having a solid season. The Buzz: Shutout previous 1A No. 24 Brandon plus shutting out Sickles (Tampa) to open the season and district play respectively. The Buzz: Took care of business against Freedom (Tampa), but had a close call against Steinbrenner, which could mean trouble. The Buzz: The Hawks will get their season started this week, one of a few programs that waited a week later to get things rolling for the season. The Buzz: Things are rolling again at Cooper City shutting out Nova (Davie) and Everglades (Miramar) to open the season and district play respectively. The Buzz: Just barely defeated Boone to open the season and district play with the team not potentially with a complete roster which could be a cause for concern. The Buzz: Opened the season with two wins and appears to be using more defense as opposed to offense to win games right now. The Buzz: Opened the season with a strong wing against Poinciana. The Buzz: The Panthers took care of business on opening week defeating Spanish River and district opponent Palm Beach Central. The Buzz: Easily defeated Deerfield Beach and McArthur to open the season, only giving up six points in the process. The Buzz: A team we underestimated in the first rankings of the season, showed us where we need to adjust things and certainly, they are worthy of a Top 10 spot after posting shutout wins over West Boca Raton and previously 2A No. 8 Martin County.